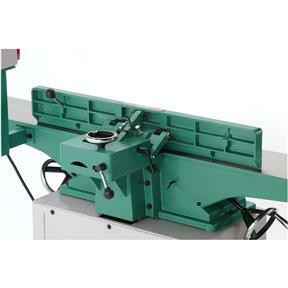 This 8" Jointer has all the features you'd want for precision jointing applications and ease of use. For precision jointing, we started with a 6-foot, cast iron bed and added positive handwheel adjustment for both the infeed and outfeed tables. 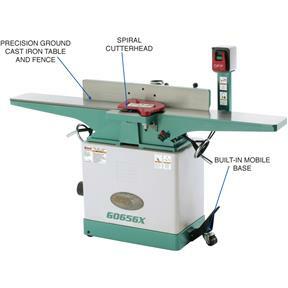 A built-in mobile base, center-mounted fence with lateral rack-and-pinion control and a pedestal mounted switch all combine to make this jointer one of the best jointers you'll find anywhere. CSA certified meeting CSA C22.2 #71.2-08 and UL 987-7 standards! Precision-ground cast-iron table size: 9" x 72-1/2"
I ordered the G0656X 8 " jointer with spiral cutterhead as an upgrade replacement for the 8" grizzly straight knife jointer that i had for several years, of which I sold. It was ordered in December 28th 2017 and was backordered until I received it until May 21st 2018. I was very excited about ordering it and although I had to wait a long time to get it, I am very pleased with the quality of the machine, the performance, the perfect paint job and the price. I would do it again if I had to. 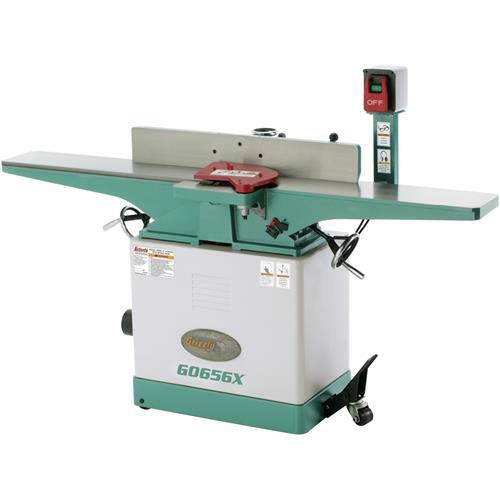 Besides the all these features I personally think it is the best looking jointer on the market. THANK YOU GRIZZLY for a great machine. I also bought a 14" Grizzly bandsaw last fall and have a 20" planer and 10" 3 H.P. 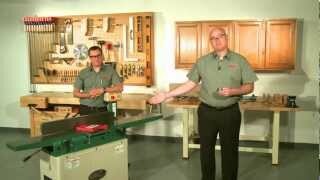 Grizzly table saw. Jerry Cardwell, Alton, IL. I expected the dovetail ways to be a little fiddly, but shimming them to get the tables parallel was much easier than I expected. However the fence was looser than I expected but some wedges inserted to immobilize it during operation works just fine. 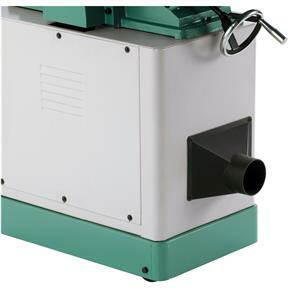 The end result is that the machine turns out stock that is beautifully flat and square. So I am very pleased. Compared to the jointer I was previously using (my grandfathers) this Grizzly is great. I'm very glad I paid the extra for the spiral head since I work with figured woods a lot and I've had almost no tearout even though it isn't a Selix head. There are two things I think are poorly designed. 1. the frame on which the motor is mounted makes positioning and adjusting a time consuming, frustrating job. I'm glad I only have to do this once in a great while. 2. the fence angle stop is a floppy, inaccurate design that I would never trust for a 90 degree setting. All in all this is a good machine for the money. Dealing with UPS Freight was a nightmare.